For the first “Way Back When Wednesday” of the year, I thought we’d do a song that does an excellent job of straddling the old and the new and is still a classic. A song most recognizably done by Tracy Byrd in 1996, “Don’t Take Her She’s All I Got” had far reaching roots reaching back to 1971 written by the legendary Gary “U.S.” Bonds. Gary “U.S.” Bonds might be the most legendary person you’ve not heard of. He inspired the likes of both Bruce Springsteen and Steven Van Zandt and headlined above The Beatles on a 1963 European tour. Springsteen and a member of the Allman Brothers both played on his album “Back In 20.” Bonds has garnered such distinctions as honoree of the Rhythm & Blues Foundation as well as a nomination for the prestigious Country Music Association’s “Songwriter of the Year” award. He hobnobbed with the Blues Brothers and Otis Redding, still traveling and touring today with the Roadhouse Rockers. He has dabbled in many a genre and his songs have had massive crossover success. “Don’t Take Her She’s All I Got” has made the rounds itself with a bevy of artists such as Johnny Paycheck, George Jones, David Allan Coe, Conway Twitty, and strangely enough, “Stone Cold” Steve Austin. 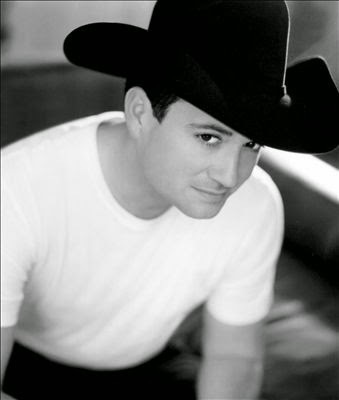 Released by Tracy Byrd “Don’t Take Her She’s All I Got” remains a quintessential 90’s hit, marrying the older sounds of Willie and Dolly with the newer sounds of his own. Though many a version were released by many a renowned artist through the decades, this one remains my favorite. Not only because it frames Byrd’s voice so beautifully but also because it’s the one I grew up hearing. A close second however, is Byrd and Paycheck singing it together.